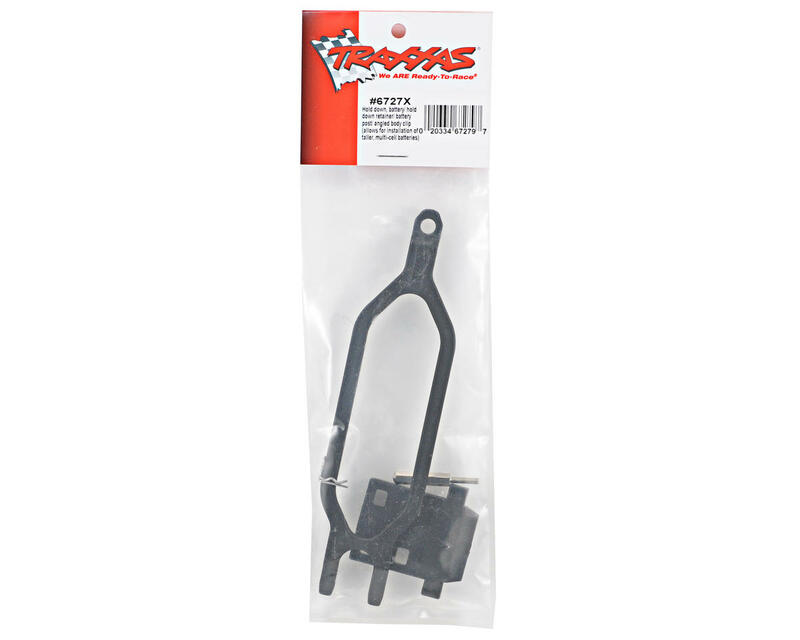 This is an optional Traxxas Multi-Cell Battery Hold Down Set, and is intended for use with the Traxxas Stampede 4X4. This hold down allows the use of taller, multi cell batteries. 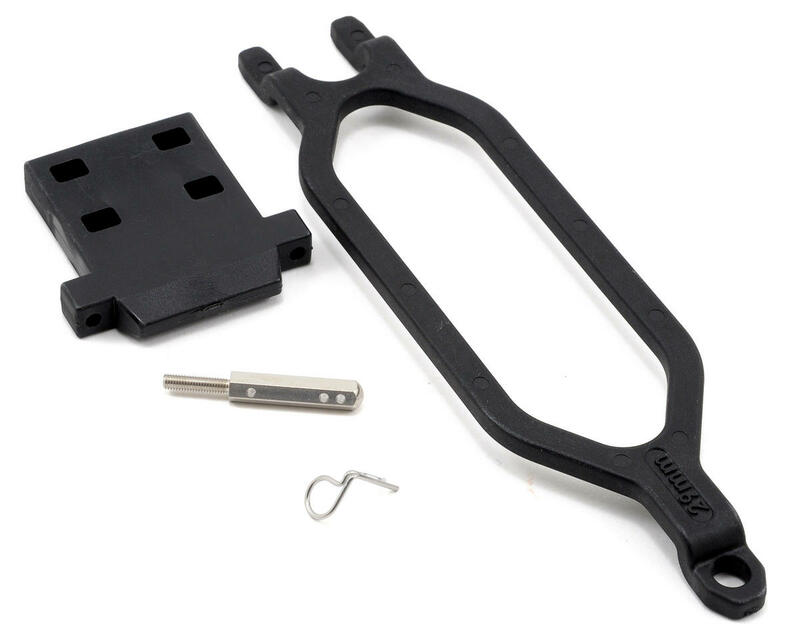 This package includes one multi cell battery hold down, as well as a hold down retainer, battery post, and an angled body clip. Works great for Slash or Stampede! Extends the battery holder for 3S Lipos!! !